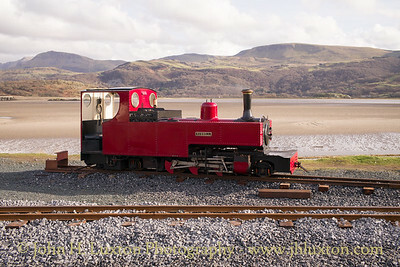 The Fairbourne Railway (Welsh: Rheilffordd y Friog) is today a 12 1⁄4 in (311 mm) gauge railway running for 2 miles (3.2 km) from the village of Fairbourne on the Mid-Wales coast, alongside the beach to the Penrhyn Point where it connects with a ferry to Barmouth, across the Mawddach estuary. 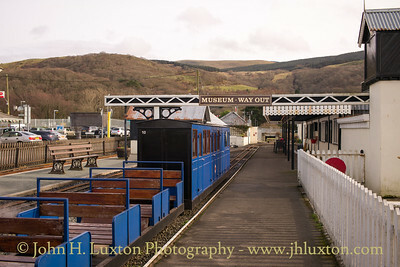 The railway opened as a 2ft gauge horse drawn tramway in 1895 before being converted first to a 15inch gauge miniature railway in 1916 and then to a 12 1⁄4 in (311 mm) line operated on narrow gauge principals using stock which is approximately 50% smaller than conventional Welsh narrow gauge. 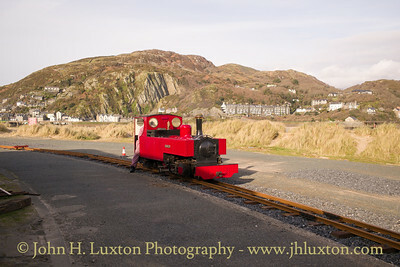 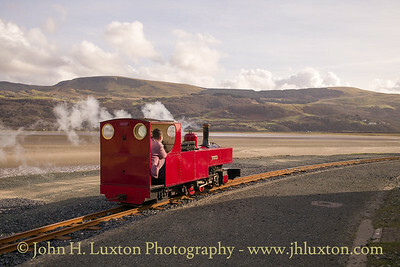 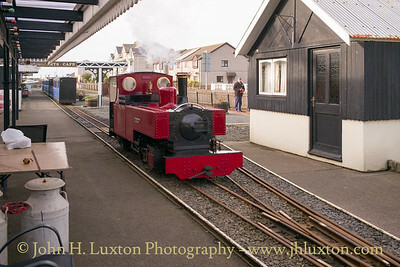 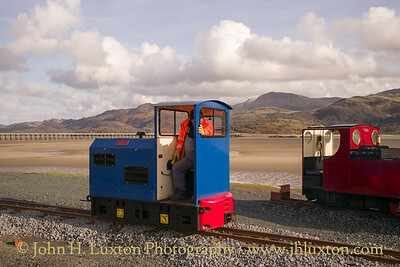 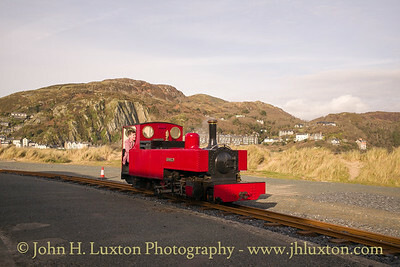 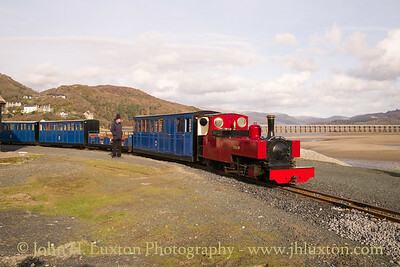 RUSSELL at Fairbourne Station after arrival with the 14:30 from Barmouth Ferry. 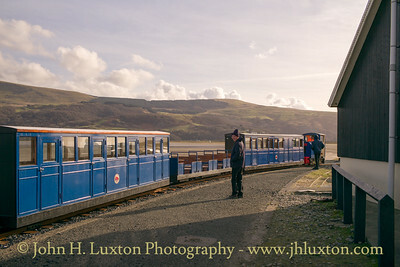 GWRIL at Barmouth Ferry Station at Penrhyn Point about to shunt the coaching stock to release RUSSELL due to the temporary lack of a run round loop. 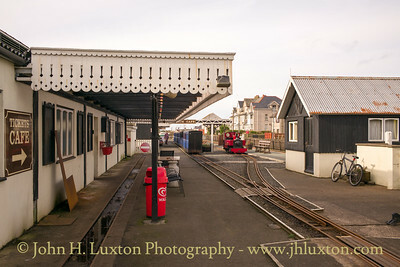 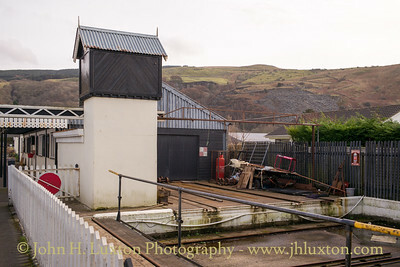 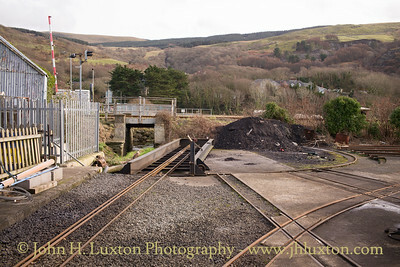 Sector plate at Fairbourne Station giving access to the depot. 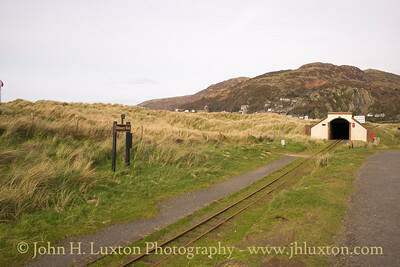 Estuary Halt and the Jack Steele Tunnel used to protect the line from blown sand. 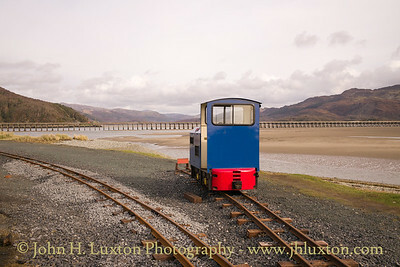 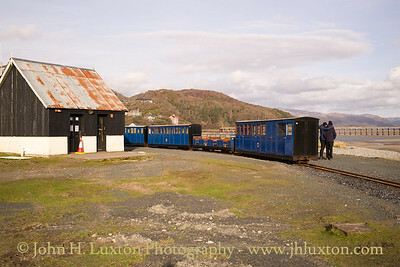 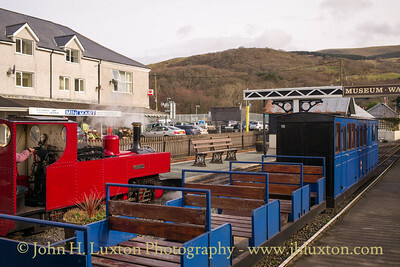 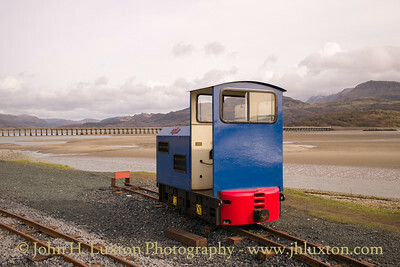 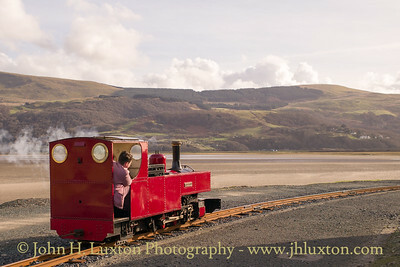 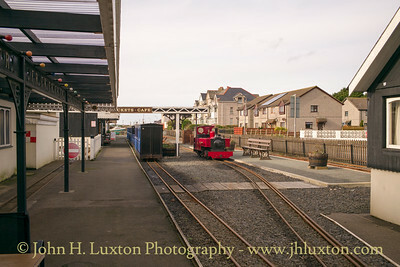 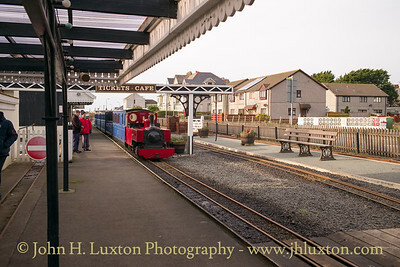 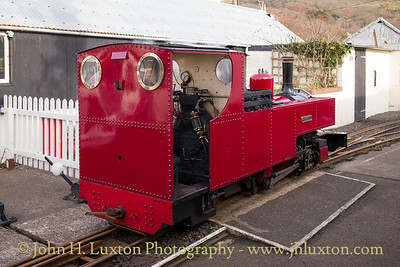 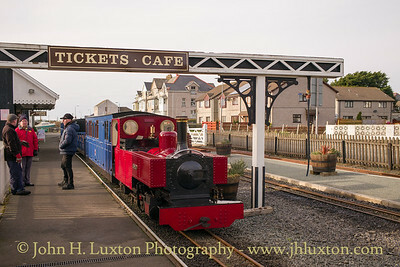 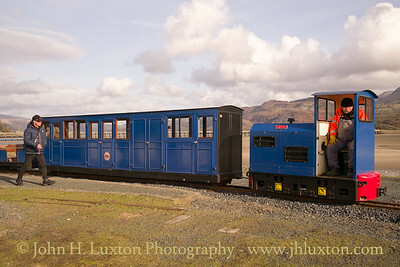 Hunslet diesel GWRIL at Barmouth Ferry Station. 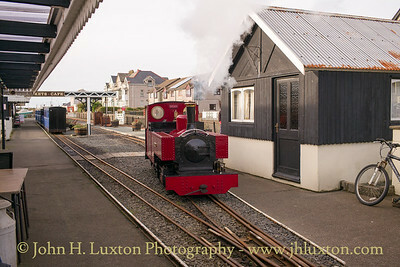 She was being used to shunt stock to release the locomotive due to the temporary lack of a run round loop.